Shabby-chic décor combined with modern rustic furnishings is a hot trend for those who love distinctive yet simple settings. This type of home design, beautifully bestowed in this lovely home by Paolo Badesco, is perfect for residents along the countryside or near bodies of water such as lakes and oceans. 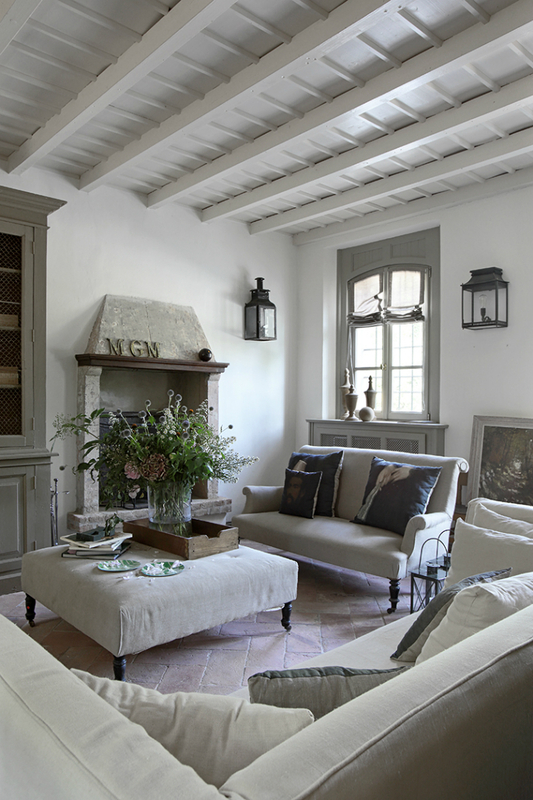 The key to shabby-chic modern rustic spaces are an open floor plan, modern furniture with a country twist, and preserved and exposed natural architectural elements; like the exposed beams on the ceiling throughout this uniquely designed residence. 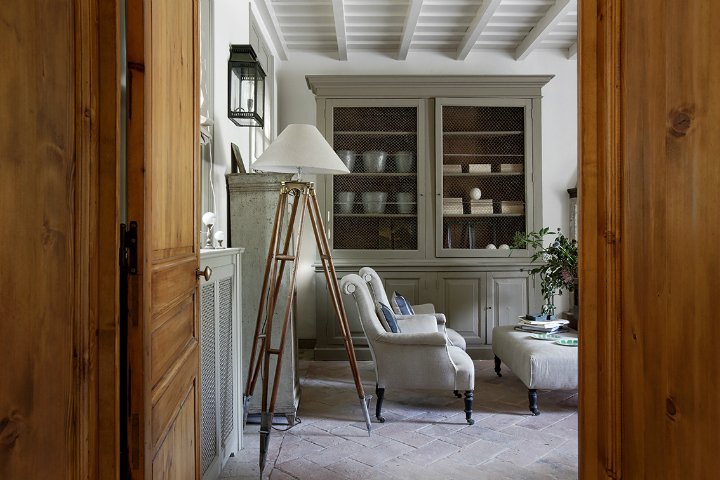 The color scheme is elementary with mostly basics hues scattered with touches of unassuming shades here and there. For example, the rich lime green plates set strategically on the cushioned coffee table adds a hint of diversity in the living room color scheme, without taking away the straightforward approach of the overall décor. The style has an informal elegance that’s comfortable and contemporary. Notice tje quiet natural element presence throughout the home. 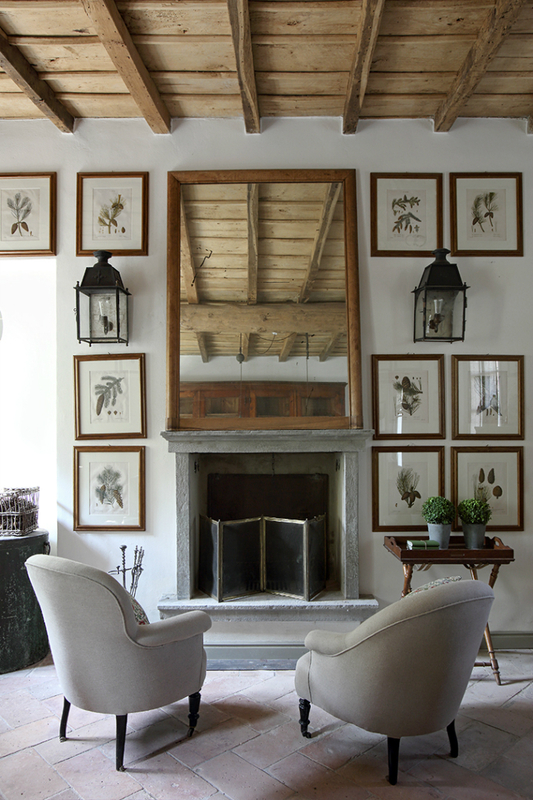 The stone fireplace and floor in the living room are the interior designer’s commitment to the home’s theme. These natural elements assist with maintaining the earthy, rustic, and uniform appeal of the space, regardless of its contemporary layout. Desiring an old home includes preserving the character and original architectural detail of that home, as in the stone fireplace and floor. 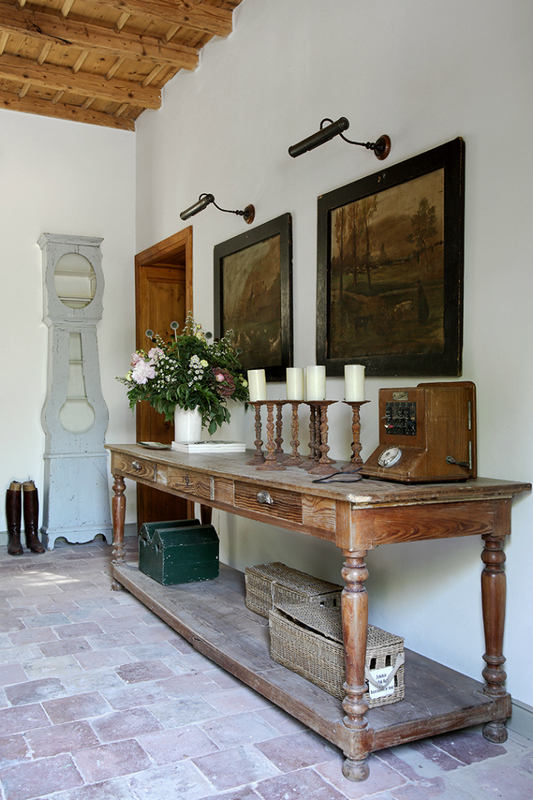 Even the hallway remains subdued with worn pieces of furniture. The floor is made from natural minerals, together with the barest of furnishings. The white walls maintain a balance in the space and brightens up the area, shying away from a dull and arid appearance. 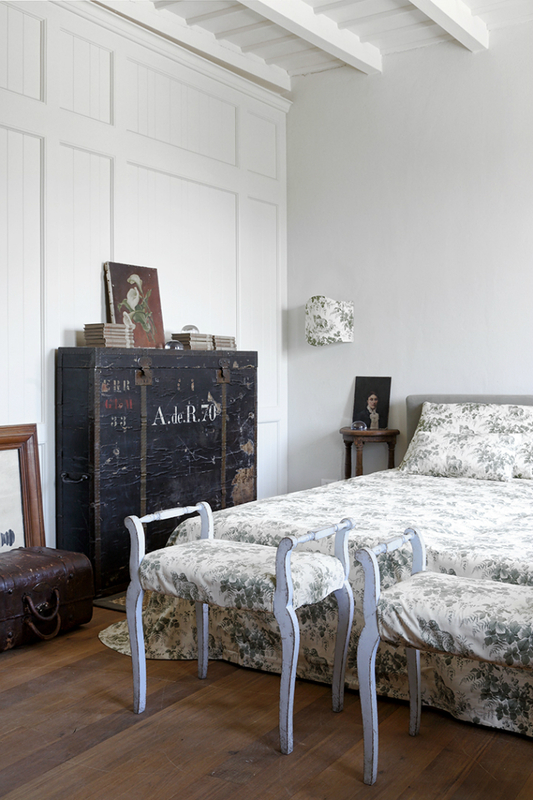 Rustic and country style makes a happy marriage, which is evidenced by the bedroom design. The craftsman style presented in this room bring to mind the Shaker style concept, where the most minimal amount of furnishings are used. Each piece has a purpose with nothing left to rumbustious designs and coloration. 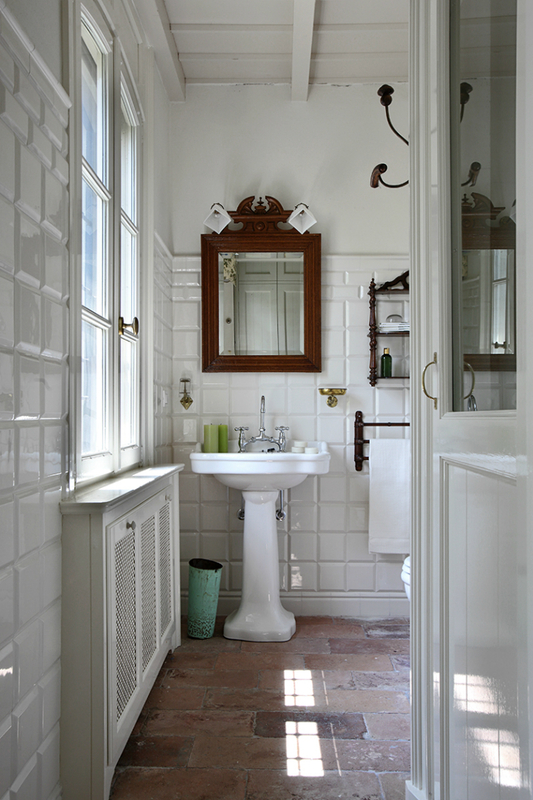 Features such as low-pitched roofs coupled with marble and glistening white tiles, keep the bathroom balanced with the rest of the home. 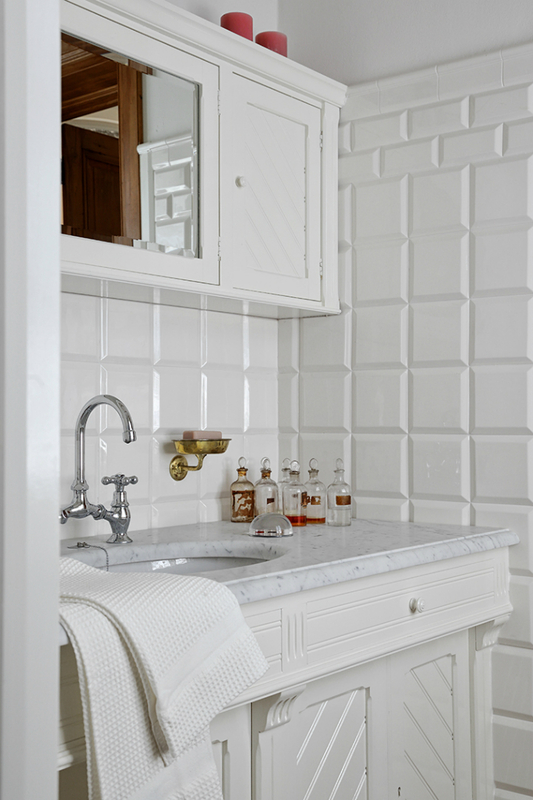 White is the key impersonal-shade that gives the bathroom a refreshing, spacious dynamic. The cooking area is what rustic kitchens are made of. 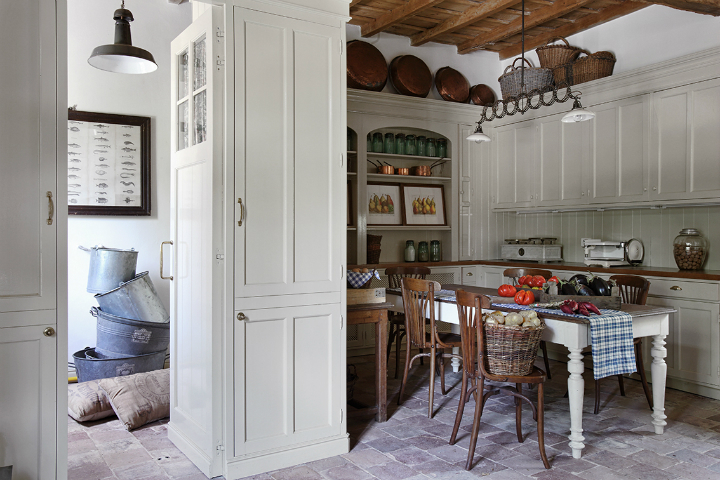 Copper pots and pans, a distressed long dining table, gingham cloth, basic dark wood chairs, and colorful photos in a cabinet styled armoire, are explicitly inviting and informal. The combination of the woodwork, exposed beams, and furniture style with modern lines, makes this kitchen a fine example of rustic modern decor done right. 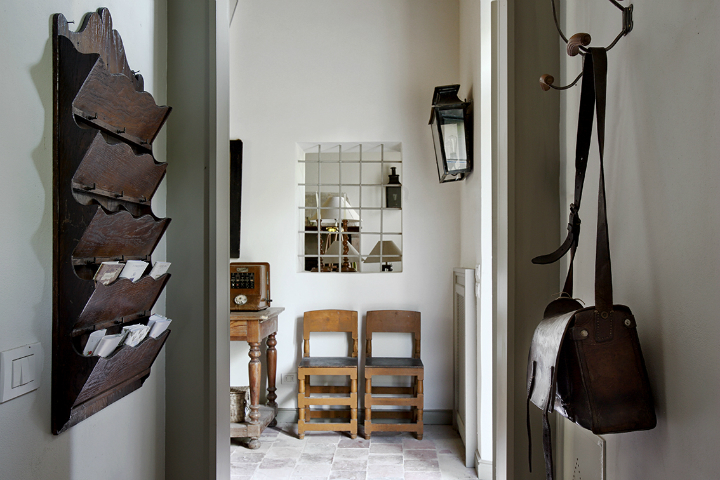 The natural aspect of this rustic style, modern, shabby-chic abode is clear. From the upholstery, linens, floors, ceilings, and various accents, to the fine touches of impulsive hues, this home is a pure delight. So, if you love this style of home, keep your furnishings simple, maintain as many natural elements as possible, and keep colors basic with hints of bright hues here and there and enjoy! Just lovely! 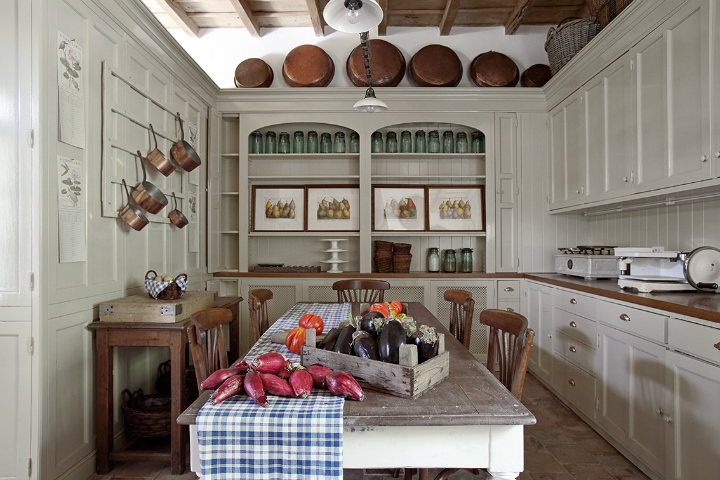 I love the blend of rustic and shabby – it is ever-pleasing to the eye. Thank you for sharing this!